Here’s my debut blog. Eventually, I do plan on writing about interiors , however I’d like to take the opportunity to change your perspective a little on the current property buying pattern. We’ve been told that several of our picturesque buildings have been damaged beyond repair - in an attempt to justify why so many of them are being pulled down to make way for new development - with, let's face it, little or no architectural value at all! We all play an active role in supporting current development. Our fast lives find us resorting to move-in-ready homes. But what if we played an active role in preserving our built heritage? Apartments are convenient - but this does not necessarily mean we’re getting the best value for our hard-earned money - especially when property prices keep soaring! Let’s turn our attention to those cute little townhouses we so proudly depict on our postcards. 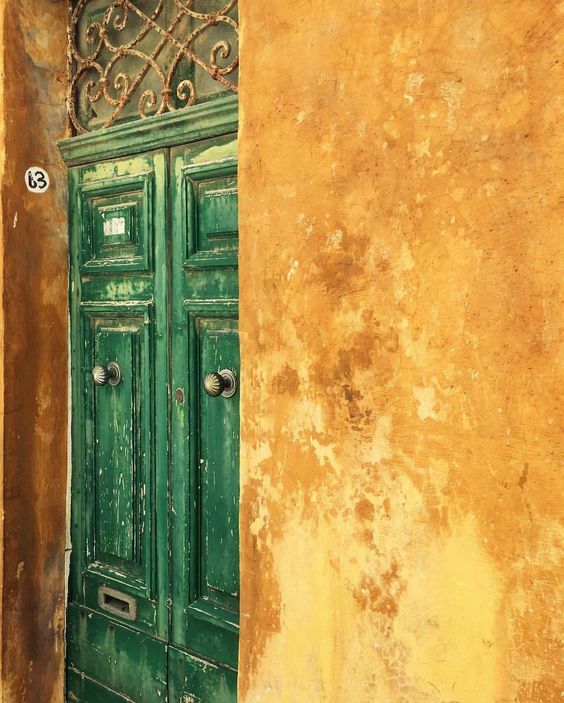 Their colourful facades on a background of exposed limestone still represent our happy, bubbly Maltese nature. The intricate woodwork on the doors and beautiful stonework on balcony corbels (saljaturi) are a delightful display of our ancestors’ dedication in creating uniform, yet very joyous streetscapes. It can be said that the typical Maltese townhouse is almost on par with a standard apartment in terms of what you get. Here’s my shot at tempting you to shift your attention to townhouses for a little while for the reasons mentioned below. 1 | You have the power to bargain. The owner knows the home needs more work before it can be re-sold or lived-in – you have the potential to negotiate and pay a fair price. At present, you will have less buyer competition for tired/messy buildings because most people see it as too much work! 2 | Established properties are a smarter choice! To make a profit, developers put in not only their margins in the price, but also marketing costs. Really, you are handing your first few years’ worth of capital gains straight to the developer. Townhouses are a smarter choice – besides the fact that you own much more than bricks and mortar, they also tend to hold more value in the land (and airspace, really). Generally when it comes to property, new apartments are often the first to see prices soften when the overall market loses impetus – especially because there are so many of them! 3 | Tailor your house to your exact tastes. While it’s certainly more work, this power cannot be underrated. Restoring one of these houses means that it’s a blank canvas! You have the freedom to design it however you wish. If you want an open concept, this can be achieved with the help of an architect. If you want to go daring in the kitchen, you can too. There are normally the same amount of rooms you would find in an apartment – 2 bedrooms, 2 bathrooms, kitchen/dining, and living – except they’re spread on two floors, which means you get more privacy. On top of this, ceiling heights are not at the legal minimum of 2.6m, so townhouses, although they look petite, already feel bigger! Townhouses normally have a little back yard – however, having a roof also means you get to use it for entertaining too! This is way better than having to cram a BBQ on your apartment balcony. Having your own entrance as opposed to a communal one means you get to cut off from your neighbour – more privacy for you. PS also, no elephants on the floor above or a smell of food coming from next door! 7 | Your maintenance costs are yours only. “Uh but you have to spend a lot of money on maintenance on an old property”. Not necessarily. Lets look at it this way – living in an apartment block, you spend a certain amount of money yearly on condominium fees. This is over and above the maintenance works you have on your own apartment. 7 | You’re the master of the manor. You can go by your own house rules rather than communal ones! I want a surveillence camera at home, I can get one. My front door needs fixing – no one’s objecting because they don’t want to spend the extra penny – Hallelujah! Call the carpenter! Modernisation has resulted in the expansion of villages, leaving heritage and culture behind. New developments are coming up in the place of older buildings. Sometimes (ha ha) historically significant buildings are being demolished to make way for new structures. Conserving historical buildings means transferring ancestral legacy to the future generations. This is an invaluable way for our children to learn about our culture and heritage, also giving insight into our ancestors’ lifestyle. Knowing our history and giving it the respect the deserves is very much important to advocate patriotism in the younger generation. The preservation of historic buildings is a one way street – There is no chance to renovate or save a building once it’s gone. Like with anything, once a piece of history is destroyed, it is lost forever. These colourful beauties will attract more tourists, hence it would also greatly benefit the economy. Regenerating these townhouses will significantly contribute to infrastructure developments and modernisation, while at the same time allowing saving cultural beauty – Once these areas start becoming well known among other parts, this would increase the chances of getting further funds and investments. Go on... Have a little think about it. Doesn’t it make sense?